Exotic vacation in America: Let’s go to Mexico! 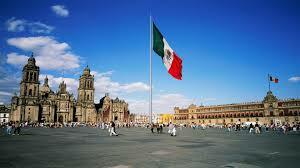 For an unforgettable vacation, a trip to America , is strongly recommended, specifically, Mexico. This country attracts millions of people each year. It seduces many with its archaeological sites, its unique architecture, its idyllic beaches, gastronomy, culture and its rich biodiversity. 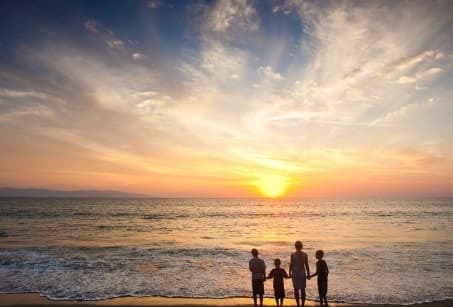 There is no photo, Mexico is the address where you have to go to spend a few days of complete disconnecting. A trip to Mexico is, among others, to begin in Mexico City. This city has millions of inhabitants. It is considered one of the oldest cities in America. In this city, there are many attractions to discover like the Museum of Popular Arts. It was inaugurated in March 2006 and exhibits the work of artists. Its purpose is to promote folk art in Mexico. The Museum of Popular Arts consists of 4 rooms spread over 3 floors, namely, essence, everyday life, the, sacred and the fantastic. The visit takes place in chronological order, that is to say, from the top down. You can find this museum many works of craftsmen and artists, to name figurines, religious sculptures, jewelry, miniatures, masks and many others. This museum is located in the historic center of Mexico City a short walk from Alameda Park, near the Hilton. To go there, vacationers can take the metro Hidalgo, specifically, lines 2 and 3. The entrance fee is about 2 €, 40 Mexican pesos. The Museum of Popular Arts is open from 10 a.m. to 5:00 pm except Mondays and the 24th, 25th, and 31st of December and 1st of January. During a stay in Mexico, globetrotters will undoubtedly also want to make a stopover in Cancun. This city is located in the southeast of Mexico, in the Yucatán Peninsula. It is occupied by 525,700 residents and is divided into 3 distinct areas, the hotel zone, the urban area, and port Puerto Juarez. This city owes its tourist reputation to its sandy beaches with palm trees and surrounded by a turquoise sea. Among the most popular beaches in Cancún are Playa Las Perlas, Playa Juventud, Playa Linda, Playa Langosta, Playa Tortugas and Playa Nizuc. In addition, activities to do in Cancun are numerous and everyone will find happiness. For example, you can practice water skiing, wakeboarding, jet skiing, parasailing or bottle diving.